Merging of Telecom Companies: Boon or Bane? AT&T has recently announced a deal to acquire T-Mobile in the US. Understandably, people in that part of the world is asking whether or not this deal is good for consumers. The question foremost in everybody’s mind is how this will affect the business environment in terms of competition among companies which ultimately should benefit not only the industry but the consumers as a whole. Incidentally, a similar deal has also been the subject of public scrutiny in the Philippines with the announcement of PLDT (Philippine Long Distance Telephone Co.) acquiring Digitel. PLDT is a dominant player in the Philippines with its cellular arm, Smart Telecommunications, leading the race of three cellular networks well-ahead of Globe Telecom and Sun Cellular. 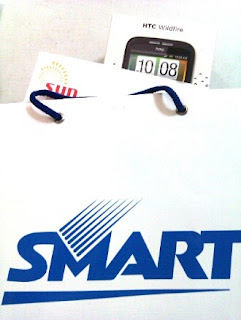 Digitel is the company running Sun which would mean that the acquisition of Digitel by PLDT will result to Sun and Smart merging into one company thus reducing the players in this industry from three to just two. Although these mergers will still undergo regulatory approvals, it is worth noting the reasons being given by these companies as to why they are going ahead with their plans. AT&T’s infrastructure problems are legendary. They have not anticipated the amount of demand for data transfer which their current hardware is unable to meet. Investing in more towers would have done the job but it would take too much time with too many obstacles including the reluctance of cities to approve such structures in their midst. The acquisition of T-Mobile solves this problem since AT&T will not have to build towers anymore but use the infrastructure it bought. So it seems apparent that this deal is important not only for AT&T stockholders but more so to its subscribers since it will improve services to them. The same cannot be said of the PLDT deal with Digitel. PLDT will certainly benefit in terms of infrastructure as well but not in a way that solves any hardware impediments problematic to its current customers. This deal will just expand the reach of PLDT and increase its subscriber base. The problem that this agreement is trying to solve apparently is weak growth in revenue due to market saturation. Unlike the deal with AT&T and T-Mobile, PLDT does not solve any technical issue but a financial one. This type of deal is not good for consumers. In trying to acquire a company that directly competes with it, PLDT is moving more towards dominating the industry rather than competing in it. The basic contrast between these two deals is obvious if we compare the benefits to the current subscribers of the acquiring companies. AT&T subscribers will benefit from the additional infrastructure (from T-Mobile) with better services while PLDT subscribers will probably not be affected at all with the additional infrastructure of Digitel. PLDT will win since its revenue will increase but that’s about it. That may not be worth the price of one less industry player in this hugely critical telecommunications arena particularly mobile communications. Let us see how things will go but hopefully the regulatory bodies will know better than to approve this problematic arrangement. Let's not forget that the merger means acquiring Sun Cellular including its frequency which happen to sit between Globe and Smart, apart from the huge infrastructure of Digitel scattered all over Luzon. This means improving the frequency range of Smart (service improvement). And that is the main reason why Globe is crying foul over the deal.